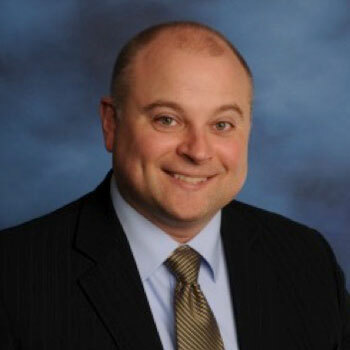 Dr. Daniel J. Reattoir has served as superintendent of the Eastern Upper Peninsula Intermediate School District since 2011. Reattoir has also served as a local district superintendent, a middle school principal, assistant principal and teacher. He has served on numerous statewide boards and committees focusing on higher education improvement, K-12 public education legislation, public education funding, educational technology, and reforming public education in Michigan. He has presented at numerous conferences on a wide variety of topics, including bond issues, school facility construction, the importance of the arts in public education, public education funding, educational collaboration, and curriculum, instruction and achievement. He holds degrees from Lake Superior State University, Northern Michigan University and Central Michigan University.